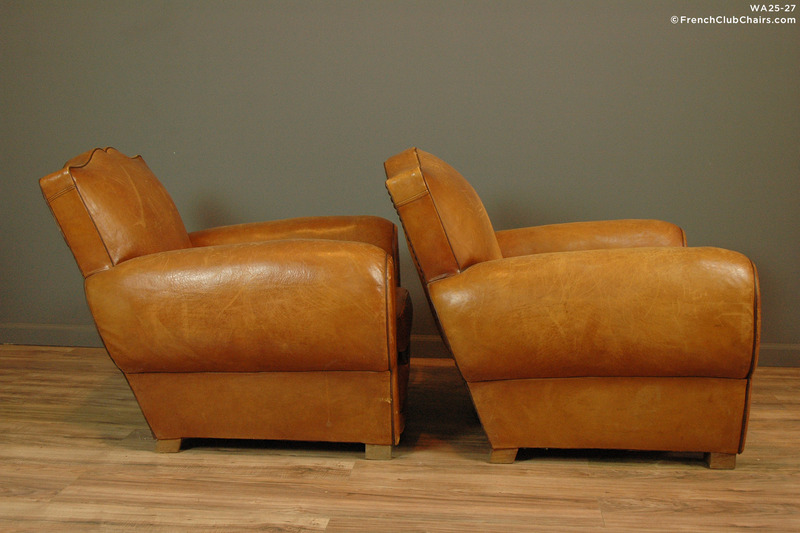 This handsome, light cognac pair of French Club chairs are the quintessential Mustache backed. Highly sought after for their classic lines. All original leather in excellent overall condition. Some wear on the piping and age appropriate scuffing, but otherwise supple and very deep and comfortable. measurements: depth-36", width-40", height-32", seat depth-24", seat width-20", seat height-15"